STRATACACHE today surprised the industry with the acquisition of Real Digital Media, provider of the NEOCAST digital signage platform. Real Digital Media will become a wholly-owned subsidiary of STRATACACHE, and will continue to market, support and enhance the NEOCAST platform. The acquisition follows relatively quickly after STRATACACHE’s acquisition of Scala Inc, back in August and of the Vertigo QSR Outdoor Digital Menu product line from Civiq Smartscapes in July 2016. 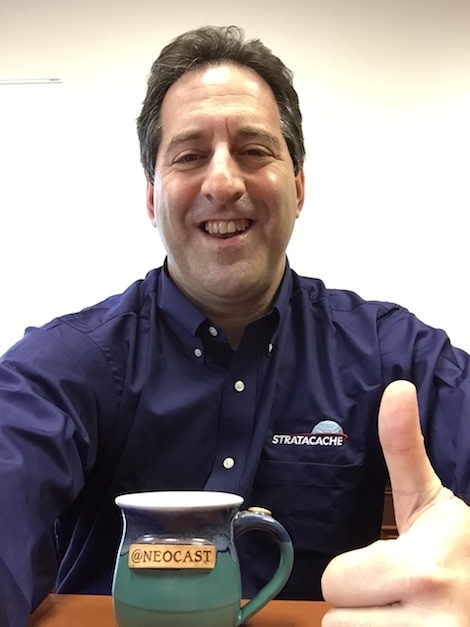 Chris Riegel, CEO of STRATACACHE told us that “This allows both firms to capitalize on years of shared industry success and experience. STRATACACHE brings significant capital, operational scale and service advantages to Real Digital Media that will directly benefit current and future RDM customers”. Chris Riegel summed up the acquisition by saying “The companies combined will increase value for customers by providing a portfolio of comprehensive solutions designed to enhance audience engagement across a multitude of venues”. This entry was posted on Monday, January 9th, 2017 at 11:30 @521 and is filed under DailyDOOH Update. You can follow any responses to this entry through the RSS 2.0 feed. You can leave a response, or trackback from your own site.